Not one, BUT TWO job interviews! Sometimes life does suprise us with the unexpected. This is a major breakthrough in my 4-month long jobhunt: to be called in for interviews twice in 25 days! Since this is wonderful news (and the experience still fresh in my memory), I decided to celebrate by writing a post about it. In contrast to what most of you might expec,t this post will not tackle: neither the “Top 10 Questions Asked” in a job interview nor “What to wear to impress your interviewer”. I believe there are people more qualified than me to give advice on those areas. A good physical and mental rest is a much better preparation than any amount of reading, rehearsing and strategic planning (Eg: What will make them want me, projecting warmth or efficiency? See Sources). Even if the end goal is to get the job and selling oneself is the object of the interview, turn the table a different angle and make it a point to have fun at the same time. In the first of the interviews, I had time to prepare and plan for the d-day. I decided what to wear in advance, coordinated with my husband and searched for a sitter to care for the baby, I researched the latest happenings in the company and most of all I rehearsed by answering the Top 50 Most Common Interview Questions (Forbes). I had one week to do so and I had a schedule laid out before me to answer a number of questions per day. I worked hard, read a lot and reviewed my professional history enough to write a memoir. I saved the day before the interview to take a rest. Wrong, because the day I intended to rest, an unexpected event forced me to redirect my attention to more pressing matters. I’m not talking about the public transportation strike; it was more of a sleep-depriving, concentration-demanding type of affair. That is to say: I was not able to sleep the night before and no amount of makeup or tropical-girl smile could hide that I was only a breath shy of looking like the Corpse Bride. Nevertheless, the “show” went on. No matter how literally heavy my head felt, I struggled to make my interviewers see that I deserve the job. Adrenaline helped of course, but it can only last so much, because soon enough I started experiencing a lack of eloquence in any of the languages I swear I could speak. The second interview was the complete opposite of the first one: I had exactly 36 hours to prepare, the subject matter was something I had only studied back in college and the very name of the organization is even more intimidating. The only thing they had in common was I was still lacking sleep. Unlike the earlier interview, I decided to read only what I could; and this means being content with just one or two good documents I could find about the job post. The rest of the time, I just tried to sleep or at least relax. I met with my interviewers in the cafeteria and after a few courteous greetings, started recounting my skills, my educational background and why I applied for the job. They asked me whether I’ve had any experience on certain tasks and wanted to know if I was familiar with the subject to be treated by the hired candidate. This was when the “fun” began… and what I meant was having the ability to genuinely take pleasure at the opportunity of being considered for a job. So when the supervisor inquired about my knowledge on the project to be managed, I was confident enough to admit that I have never worked in that field and everything that I knew, I learned in college. I proceeded to explain exactly what I learned back then. I was even asked to propose a recommendation! It felt right. I felt that I was really making a case for my candidacy to be considered. Still, I noticed how the mind could play tricks if not given enough rest: one of the directors asked if I have ever done “X”. The truth is I have, but somehow I wasn’t able to find the precise memory in my mind. Then I realized that I have indeed executed “X”… in Spanish! and because we were speaking in English and the preparations I’ve done were also in English, my fatigued brain divided my professional history into: Spanish, English and French. It was a good thing I did not panic. I simply acknowledged that I don’t lack experience in “X”, but such experience is limited within a Spanish-speaking context. It was a good interview: I was contented with what I have done because I was able to relax hours before, thus allowing for better predisposition (not to mention a more agreeable facade!). Most of all, I was very pleased with the inquiries, with my answers and how I delivered them… even my own curiosity was satisfied as to the details I wanted to know about the project. I suppose that the intention of this post is to serve as testimony that a job interview does not have to be a battlefield. Not among the different candidates- each one has his unique set of skills and competencies. Even if one does his best to outshine the rest… well, who among us mortals could really discern the criteria applied by a hiring team? Definitely, it is not advisable to treat an interviewer as an adversary. Remember, you want them to want to work with you! 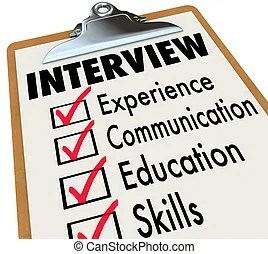 In my opinion, a job interview should be a time-space interval where talent and opportunity meet. This is why the talent has to show not just capacity, but also a palpable eagerness to do the job. Lastly, having “fun” during a job interview will help you look back at that moment with more ease. Why would you want to look back? you ask. Summoning past experiences is important because it could help detect one’s strengths and weaknesses. Keep in mind that self evaluation is highly beneficial to everyone and who better to evaluate our past actions than our present (wiser and more matured) selves? Author’s note: The author still has not found a paid employment as of this date (because believe me, taking care of a growing infant is a serious job!). To the skeptics- I understand your hesitation to consider my word as something to take note of, and good luck! To the optimists- thank you for your agreement, and good luck! Searching for employment is making me review my professional history. As I lookback, I found out that some of the more interesting skills and qualities that I possess were acquired during a time of great distress in my former jobs. In my case, even the job that “made my dreams come true”, the one “I’ve studied for my whole life” at one time burnt me out. It wasn’t enough that the pay was good or that I was building a promising career for myself- you can hardly appreciate those things once you’re caught up in a vicious cycle of fatigue and anxiety. This is true even for people I know who have exchanged corporate lives for a quieter, “more relaxed” academic careers only to find out this guy Stress followed them there, only dressed differently. The pattern I’ve observed always starts with stress. According to the Merriam-Webster online dictionary, it is: one of bodily or mental tension resulting from factors that tend to alter an existent equilibrium. The thing about stress is that without recognizing it, people become addicted to it. Creeping up under the guise of “Pressure”, we accept it as part of the job. Why, we even welcome it believing a certain amount would make us deliver great results. For this reason, I know of some who are honestly attached to stress and don’t know how to live without constant anxiety. Good for them if it makes them happy; but what about us who don’t want it in our lives? Where and how do we draw the line between the healthy and unhealthy level of strain? How do we stop ourselves before we end up hating what puts bread on our tables? In my opinion, unless you’re an expert on the subject, it’s practically impossible to discern whether the anxiety you’re feeling is normal or bordering noxious. I remember the first time I experienced this: without any second thoughts, I quit my job at a top financial services company. Everyone, and I mean E-VE-RY-ONE in my circle looked at me as if I just shaved my eyebrows. This is no excuse, but it was literally not healthy anymore. When my dream job proved not to be as ideal as I thought, I approached my colleauges and was surprised to discover some of them felt the same way. We all agreed there’s nothing worse than not wanting to get out of bed because just thinking of where you’re headed to gives you palpitations and a strong urge to cry. Those were just the grayest days for me- sad, pessimistic and even despairing. However, I was lucky enough to be surrounded by intelligent and practical people. It’s just a matter of seeing different points of view- I didn’t even need to agree with any of them, I just needed to find the “ray” in that thick air of gray. One of the best tips I received was: you are limited only by the boundaries you create. Since it’s not that obvious, I’ve decided to share excerpts from my CV and cover letter to describe how I got to be trusted to do certain tasks; some of them are directly related to my profession but which I found difficult and others just “happened” because I was confident enough to undertake them. I wanted to know how a colleague was able to go through monthly reports looking still as fresh as an orchid by the end of the day. I set up a meeting at her desk so she could show me how she checks and re-checks the numerical data she’d present to the Board of Directors. Aside from the savvy, VBA-powered tool she taught me how to use, I noticed her mindset: she was cool-headed, really taking her time and most of all she was CONFIDENT that what she’s doing is right. I started to take the same attitude (and use the savvy tool!) and although it was not and still is not easy, I am actually becoming good at it! The first time I had to write a cover letter in French totally blew my mind- in a good way. The language is challengingly beautiful, not only because of the phonetics but because of how delicate and subtle the written communication is done. It turns out one could not just go direct to the point. The message should be polite but clear and assertive and POLITE (oh, I meant to repeat it). I never would have guessed a computer engineer could help me put what I like to call structured finnesse in that first letter (I mean: structure, check! but finnesse? Could you blame me?). Her search for excellence and precision taught me how to thoroughly check for inconsistencies when reviewing a written report. I especially love this one and just about any task involving communication- it demands a lot of EQ, plus not everyone is easy to interact with. I’ve spent (lovely) hours talking to former colleagues from HR and one of them was at the time training to be a personal coach. I even let myself be her “guinea pig”! It was definitely a Communication Bootcamp. According to another former colleague from HR, I should “treat people as they need to be treated, not the way I want to be treated”. Just to experiment, I went by this rule for several months and I admit it really made me appreciate what “working in a multicultural environment” truly means. It’s not always easy but in my experience, a quid pro quo deal could be sealed faster this way. I still live by it and here I am, a Spanish-Filipina working with work experience in Paris! Well, I have to admit: one of the main reasons I started to learn French was because more than half of my officemates speak the language. Although we never used it to communicate among ourselves or with our external contacts, I was just plain ENVIOUS of the fact. So, I started taking lessons. A lighter shade of Gray? So did this paint a different color in my gray canvas? A lighter shade, perhaps? During the moment, it was difficult for me to see past the smoke. Also I was younger, less mature and more hard-headed. And because of that it was easier for me to give in to discouragement (somehow, it seems to me it’s simply handed on a silver platter). Then, as it cleared out, I realized that my canvas could still bear gray spots. After all, I am still unemployed. But let me tell you, my CV does appear to be more colorful!